1964 marked the fourth year of production for the 2nd generation Ford Galaxie, and the newly styled car was designed to be more aerodynamic to help Ford's NASCAR teams. We think the chrome grill, horizontal headlights and boxtop roof makes for a clean muscle-car styling on par with the much pricier Pontiac GTO or Chevy Chevelle. This 1964 Ford Galaxie 500 restomod looks to pack quite a bit of value into its $12,500 asking price on craigslist (located in Chico, CA). 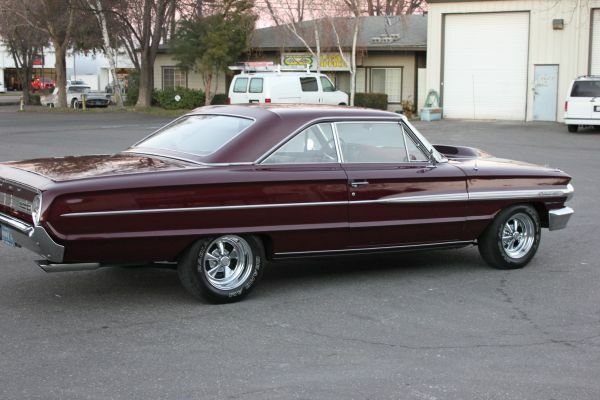 This Galaxie looks to be in good, straight, rust-free condition, and rides on a set of Cragar wheels with new tires. Powering the full sized machine is a Ford 429 (7.0 liter) V8 with an aluminum hi-rise intake manifold and many performance upgrades. The 400+ horsepower engine is mated to a C6 automatic transmission. 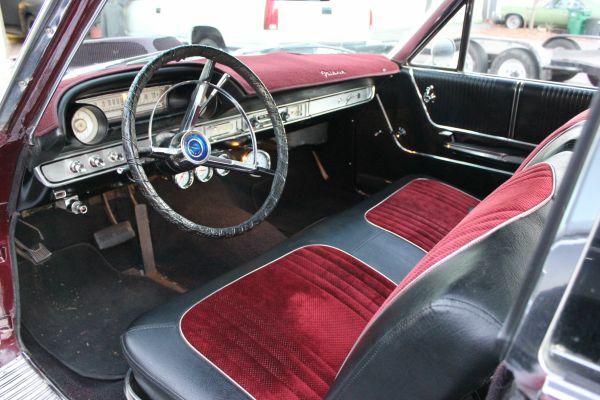 Inside the Galaxie features a custom interior in fine shape, new rubber seals, good glass...really not much to complain about. 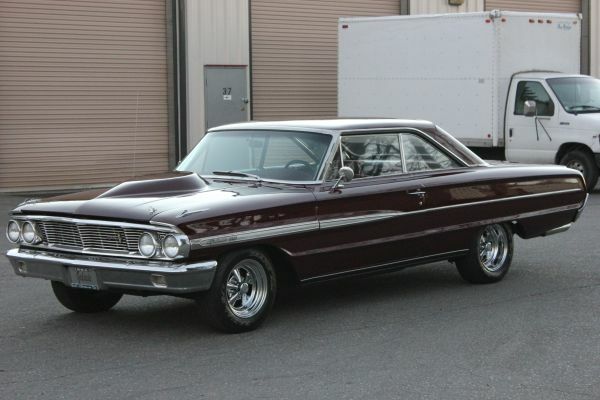 This Galaxie looks like the perfect car for a causal friday commute or the local car show - and the price isn't Barrett-Jackson high - two thumbs up! ~ i'm not sure why i like the color so much. guess i shouldn't be surprised. a high school buddy had a yellow & black, 390-C6 with the HighWay HiFi record player. pre-8track! fun times.